If you’re sick of asking yourself why you’re feeling sleepy all the time, it could have to do blood sugar problems—reactive hypoglycemia and insulin resistance symptoms. Feeling sleepy all the time and experiencing other symptoms of blood sugar dysregulation after a high-carb meal is not normal, nor is it healthy. Being plagued by excessive fatigue is bad enough, but problems with blood sugar regulation also can lead to even scarier downstream issues, including heart disease, stroke, cancer, dementia, and more. Feeling sleepy all the time and being chronically fatigued are classic reactive hypoglycemia and insulin resistance symptoms. The standard American diet, high in simple sugars and processed foods, is notorious for causing problems with blood sugar regulation. In the short term, eating a meal loaded with sugar and refined carbs (like white flour) can cause you to experience wild swings in blood sugar. Large blood sugar swings make you feel tired, anxious, irritable, and hungry for more quickly absorbed sugars. Feeling sleepy all the time and experiencing these other symptoms of blood sugar dysregulation after a high-carb meal is not normal, nor is it healthy. These are the classic signs of what is known as reactive hypoglycemia and they may be insulin resistance symptoms, which is more serious and could be an early warning sign of diabetes down the road according to the medical journal, Current Opinion in Endocrinology, Diabetes and Obesity. So how are sugars and sweets linked to the problem of feeling sleepy all the time along with reactive hypoglycemia and insulin resistance symptoms? Eating this way carries with it a “high glycemic load,” meaning it contains high amounts of the kind of carbohydrates which quickly release their sugars into the bloodstream. High-glycemic-load diets have been shown in human studies to lead to feeling sleepy all the time, daytime fatigue, poorer sleep, and slower cognitive performance. [2,3] In the long term, eating a diet full of empty calories, refined carbohydrates (bread, pasta, rice, potatoes), sugars, and sweetened beverages (sodas, juices, sports drinks) can cause chronic fatigue and perpetual daytime sleepiness as insulin resistance symptoms and pre-diabetes. How Do Insulin Resistance Symptoms Develop? 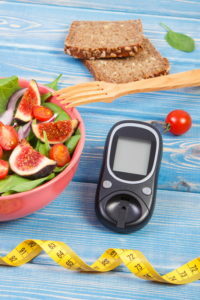 The process of eating a high-sugar, high-refined carbohydrate diet day in and day out pressures your pancreas to secrete more and more insulin in the attempt to lower your blood sugar. Over time, your cells start to become resistant, or numb, to so much insulin. This is when insulin resistance, the pre-diabetic condition that has become an epidemic, develops. Unfortunately, early insulin resistance symptoms such as reactive hypoglycemia are usually vague and are often not recognized by the individual as being related to their feeling sleepy all the time. Reactive hypoglycemia symptoms which can occur in the early stages of insulin resistance, is characterized by low blood sugar symptoms like fatigue, weakness, dizziness, sweating, shakiness, palpitations, anxiety, nausea, a sensation of hunger, and difficulty with concentration which occur after eating an abundance of sugar or refined carbs. A typical breakfast these days, consisting of a large sweetened coffee drink and a pastry, for instance, will give you a big energy surge as your sugar and insulin levels spike. What follows, however, is an inevitable crash as your blood sugar plummets and you experience low blood sugar symptoms like feeling sleepy all the time. The long-term consequences of insulin resistance symptoms are serious. A high insulin level in your blood, which can easily be measured by your doctor, is the classic sign of insulin resistance.High insulin causes your body to lose muscle while it creates more belly fat, more inflammation, and more oxidative stress. 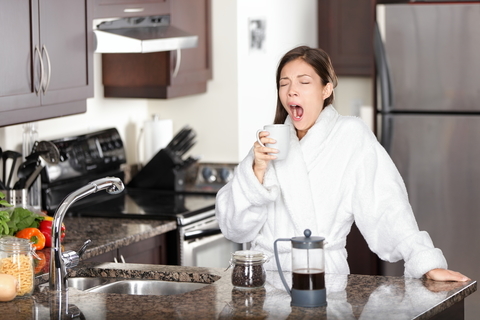 If you’re sick of asking yourself why you’re feeling sleepy all the time<, the answer could have to do with problems regulating your blood sugar and insulin levels, causing reactive hypoglycemia symptoms and insulin resistance symptoms. To remedy this, you need to reduce the overall glycemic impact of your diet. Learn how to do this by reading Suffering From High Blood Sugar Symptoms? Use This Glycemic Index Food List. Besides blood sugar problems, there are a number of other underlying causes of fatigue that doctors commonly ignore. Learn about two of these other causes of chronic fatigue and feeling sleepy all the time: leaky gut syndrome and chronic inflammation. Curr Opin Endocrinol Diabetes Obes. 2012 Apr;19(2):81-7. J Appl Physiol. 1998 Feb;84(2):507-15. J Clin Endocrinol Metab. 1994 Nov;79(5):1428-33. Br J Nutr. 2003 Feb;89(2):207-18. Psychosom Med. 2012 Mar 20. Am J Physiol Heart Circ Physiol. 2007 Nov;293(5):H3063-71. Biochim Biophys Acta. 2009 May;1792(5):432-43. Glycemic index, Pancreas, Triglycerides, aging, anxiety, belly fat, blood pressure, blood pressure high, blood sugar, blood sugar symptoms, breakfast, calories, cancer, causes of chronic fatigue, causes of fatigue, cholesterol, cholesterol high, chronic fatigue, chronic fatigue syndrome, chronic fatigue syndrome treatment, chronic fatigue treatment, chronic inflammation, coffee, cognitive performance, daytime fatigue, daytime sleepiness, dementia, depression, diabetes, diabetes and obesity, diabetes care, diabetic, diet, dizziness, empty calories, energy diet, excessive fatigue, fatigue syndrome, fatigue treatment, fatigued, feel tired, feeling sleepy all the time, food, glycemic index food list, glycemic load, health, health news, heart disease, high blood pressure, high blood sugar, high cholesterol, high energy diet, high glycemic, high glycemic load, high triglycerides, infertility, inflammation, insulin, insulin resistance, insulin resistance symptoms, leaky gut, leaky gut syndrome, low blood sugar, low blood sugar symptoms, lower your blood sugar, muscle, obesity, oxidative stress, potatoes, pre diabetes, processed foods, reactive hypoglycemia, reactive hypoglycemia symptoms, refined carbohydrates, refined carbs, sign of diabetes, sleep, sleepy all the time, stress, stroke, sugar, tired, university health news. To understand that the current obesity related T2D epidemic is driven by excessive insulin response is the first step to overcoming the medical illusion and misdirection that has plagued our generation for decades…. I have got (month ago) diabetic type 1, and i had using analog inaulin and everything was ok, but my doctor put me on actrapid(humalin) and now when i do some excercise like i just to do i feel very week like i am going to colaps or fell down. Can that be from change of insulin? It really comes down to managing your blood sugar and avoiding sugary foods and unhealthy snacks. I personally found a great solution when my holistic doctor put me on chromium yeast. I take 200-600mcg a day – seems like I need less and less over time. It has stabilized my lows and highs into a very pleasant level (bye bye sweaty, sleepy, hangry incidents). Now that I don’t have those episodes any more, I can much better focus and I have more energy to go about my day. Plus I am generally less irritable.